Yes, your narcopath ex IS stalking you. Many people who are dealing with a narcopath notice that the narcopath seems to know every move they make. 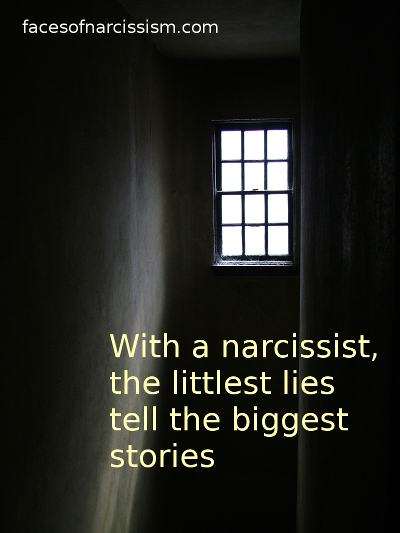 Even when they go no contact and have nothing to do with the narcissist anymore, the narcissist knows. I used to notice that the sociopath would react to my actions in real time. This happened when I was still with him and after I escaped. Once, I used a secret account to tell a friend how scared I was, and the narcopath called me almost instantly to ask me if I was still daring to talk to that same friend. (He’d forbidden me to talk to the person, so I had to do it secretly.) Or for another example, if I emailed a friend, that friend might get a message from him within minutes. If I posted something on Facebook in a special group, he might show up in that group. I had him totally blocked, but people who could see him would tell me these things. It was creepy! It was also disconcerting. I started to feel like he was watching me. But how? I changed my passwords, got a new phone and got a new computer. But still, he’d react in real time. If I commented on a post in a group, he’d reply directly below me. Even though I had him blocked, he KNEW immediately. Someone would then warn me that he’d replied to the content of my post like he could see it directly. How was he stalking me? I considered the fact that he must have had other fake accounts that I hadn’t blocked. Maybe he’d cracked my passwords. I did indeed find a keystroke logger before I got a new computer. At one time, I got a message saying someone had logged into my Facebook account from another city–his city. It went on and on despite what precautions I took. The answer is NO. Your ex probably is stalking you. I’m not a technology expert, but there are may ways that these very sick people stalk us. They might do it a simple way by having their flying monkeys report back to you, or they might go so far as to put tracking devices on your car or apps on your phone. Don’t assume that this is too “out there” or unrealistic, because it is very, very real. Your abuser probably does know what you are doing…at least until they get bored. I have been away from the narcopath over five years, but a few weeks ago after I made a post from this blog, he called me immediately and the topic of his phone call was about what I’d just posted. He didn’t outright say he’d read my blog, but the timing was beyond coincidence, and I’ve grown used to that. If this is happening to you, get all the help you need to secure your accounts, clear your computer, check out your car, etc…. Beware of your social media accounts. Narcopaths are sick enough to have dozens of fake accounts. Remember, it’s not just you they are targeting. They probably already had networks of fake accounts that they used to stalk other targets as well. Yes, it sounds crazy, but if it sounds insane, the narcopath is probably already doing it. You aren’t paranoid. This is the reality of dealing with a sociopath.